Submit Your Family FOS Dates online or come to roundtable with Your Family FOS Information. The information needed includes the following: the name of the FOS Coordinator for your unit, the email address of the FOS Coordinator, the date and time of your Family FOS presentation, and an alternative date and time for your family FOS presentation. How do you spell success . . B-U-I-L-D C-L-I-N-I-C ! 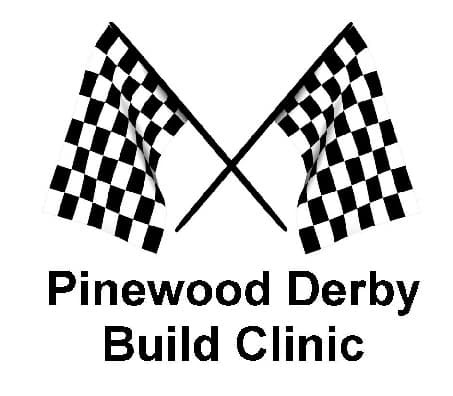 On Thursday, January 3, 2019 the Lake Minnetonka District will offer a pinewood derby build clinic for parents and youth. Big Rock Topic – What Or Who Do You Want Us To Bring To Roundtable For You? What or who do you want us to bring to roundtable for you? A BRIEF Q & A session for you to provide feedback LIVE to the roundtable staff of how we can serve you better. You many also use the Quick Feedback Form below. The OA Youth are presenting information about the upcoming election season, process, procedures to follow, and important dates. Moose Stolarzyk, Philmont Ambassador, will he presenting about scout programs at the Philmont Training Center and other exciting opportunities that are available for entire scouting families. What better topic could we do after a Pinewood Derby Build clinic?? While we have lots of Scouts around?? Blue and Gold, Cross Over, Arrow of Light ceremonies – What does your Pack do? Let us know by using the Quick Feedback Form below. Bring your best programs to Roundtable to share with other units. Have a cool cross over bridge you’d like to show? Let us know and we will make sure you have room to set it up and show it off!! Want to show off a special part of your Arrow ceremony? COOL – let us know and we will make sure you have time to share!! Don’t think of it till last minute? Bring it anyway and let us know when you get here and we will make time to fit it in anyway! Not really sure what your unit should do for these programs?? Make sure you come and see what other units are doing and borrow some ideas from them!! The main topics on the agenda for our meeting will include the following.